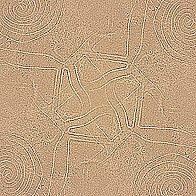 Isolines, Nazca Lines (Nasca Lines). 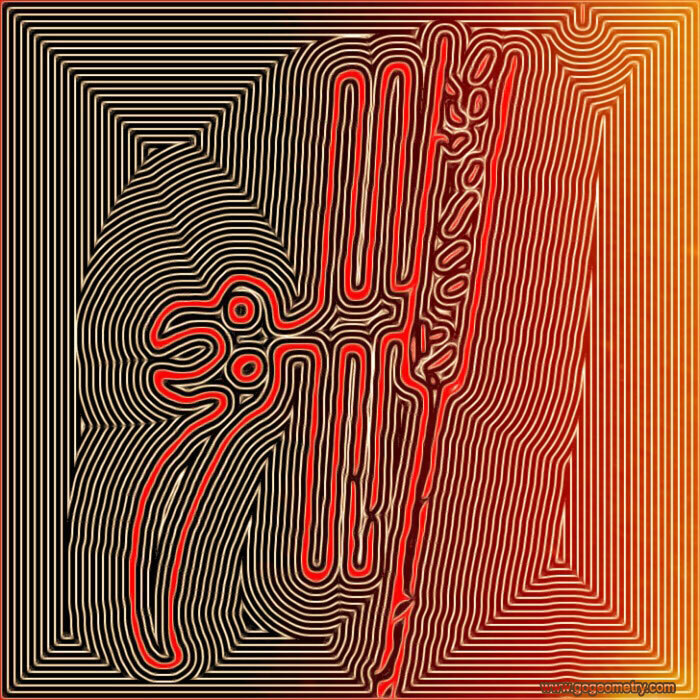 The Parrot. Geoglyphs, Southern Peru, Land of the Incas. "The head of the largest bird is made of segments of circles, whose radii vary between 32 and 66 feet. The figure is much stylized, showing in profile, while two circles of equal diameter could represent two eyes. The two curves continuing from the end of the neck have exactly the same radius, being both concentrical to the eyes." Maria Reiche, Mystery on the desert. An isoline of a function of two variables is a curve along which the function has a constant value. Isolines usually have a parallel trend.